Discover iconic architecture, diverse communities, a stunning coastline and one of the world’s great harbours. If you’re looking for the perfect Sydney day trip, then we have the tours for you. Our private Sydney sightseeing tours are ideal for travellers looking to explore the Harbour City in a time-effective but comprehensive manner. Our Sydney private tours are exclusively for you and your travelling companions, so you’ll enjoy personalised service and guidance all the way. Get a feel for the city. Sydney has a lot to offer. Most of the popular sights are close to the city centre, so you can experience many of Sydney’s best known locations on a half-day tour, although a full-day tour will allow you more time at each stop and the opportunity to head a little further afield. 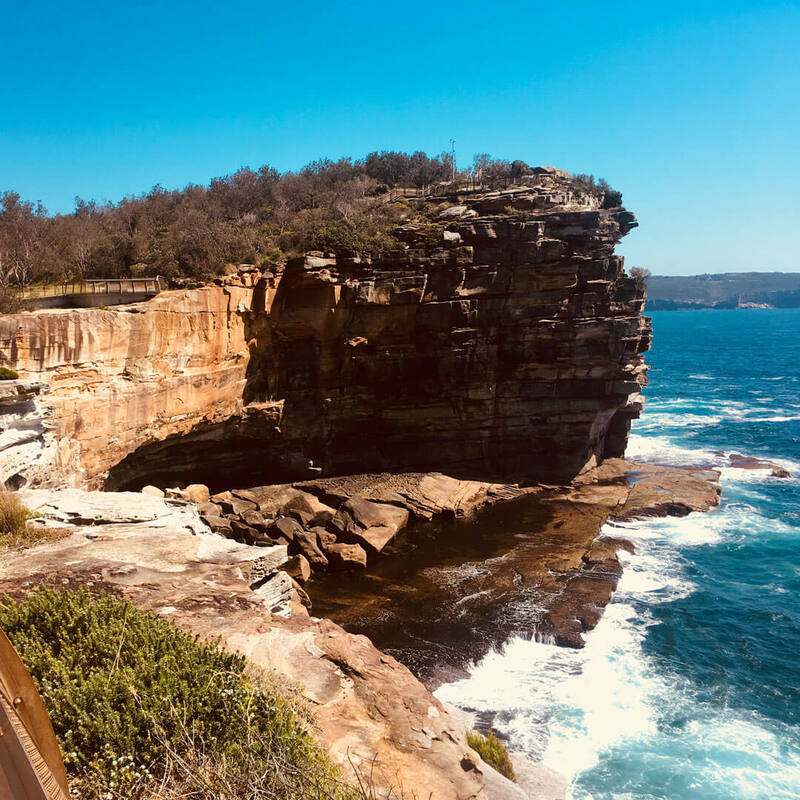 Our private Sydney sightseeing tours typically include the popular landmarks, as well as some lesser-known places for an exciting new point of view. You’ll discover historic neighbourhoods, such as the Rocks, dating from the beginning of European settlement in Australia. Enjoy some of the best harbour views, or take a stroll at some of Sydney’s most popular beaches and coastal walks. These tours will suit visitors wishing to orientate themselves with the city, and those with limited time to see the main sights. Head out to some of the city’s famous beachside suburbs, including Bondi and Manly. Our tour operators offer a mix of half-day and full-day sightseeing tours. Pick-up times from your Sydney CBD hotel vary. Tour times and duration vary. Some easy-grade steps to access viewpoints and pathways. We are the experts in getting you around Sydney with fun and safety. Sydney has a lot to offer. Most of the popular sights are close to the city centre, so you can experience many of Sydney’s best known locations on a half-day tour, although a full-day tour will allow you more time at each stop and the opportunity to head a little further afield. You’ll discover historic neighbourhoods, such as the Rocks, dating from the beginning of European settlement in Australia. 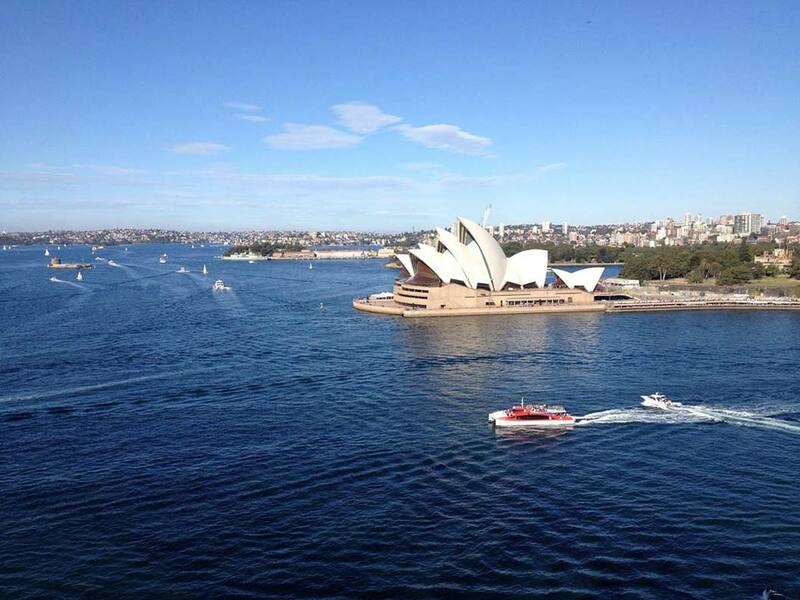 Enjoy some of the best harbour views, or take a stroll at some of Sydney’s most popular beaches and coastal walks. Your tour will normally include a drive through some of inner Sydney’s most interesting residential areas. Right by the Sydney Harbour Bridge is the Rocks, the area where European settlement in Australia truly began. Here, you can see some of the nineteenth century streets and buildings where Sydney’s first European settlers lived and worked. While this area is becoming increasingly gentrified, in years gone by this was the less desirable – but perhaps the most interesting – side of town, full of the kind of characters and goings on one might expect to find in a fledging penal colony. You will also pass through some other interesting neighbourhoods in Sydney’s eastern suburbs, famed for their leafy streets and Victorian townhouses. Again, these are now fashionable and upmarket neighbourhoods, featuring designer stores and trendy eateries. A tour of Sydney wouldn’t be complete without stopping at a viewpoint or two to admire the beautiful harbour, Sydney Opera House and the city embracing it. There are many great places to stop for photos and perhaps take a short walk, with the Sydney Harbour Bridge and Sydney Opera House providing a magnificent backdrop. You can’t come to Sydney without seeing the world-famous Sydney Opera House up close. Many visitors like to see the Opera House, and perhaps take a guided tour, in their own time. However, for those on a tight schedule, we can include a stop here for you to walk around. (Normally we’ll drop you off close by and come back to pick you up when you are ready). Heading further out you reach the harbour entrance and the eastern beaches. You might stop at Watsons Bay, a former fishing village and now a laid-back harbour suburb. From the sandstone cliffs guests can take in the city skyline and headlands of the harbour entrance. Next, head to Bondi, Sydney’s most famous beach. Stop for pictures, and perhaps a waterfront stroll or quick swim. There are also a number of cafes if you feel like beachside refreshment before heading back towards the city. 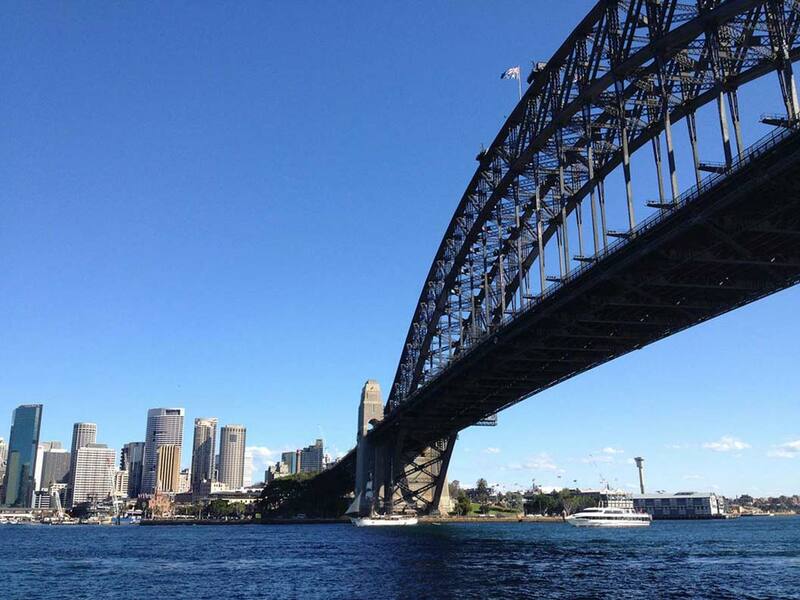 Depending on your tour duration, on Sydney sightseeing tours you might travel north over Sydney Harbour Bridge for a different view of the Harbour. Pass through some of the north shore neighbourhoods to arrive at Manly, one of Sydney’s most appealing beachside suburbs. It’s pleasant to take a walk past the shops and eateries of the Corso, a buzzing pedestrianised strip linking Manly’s harbour side with its attractive beachfront. 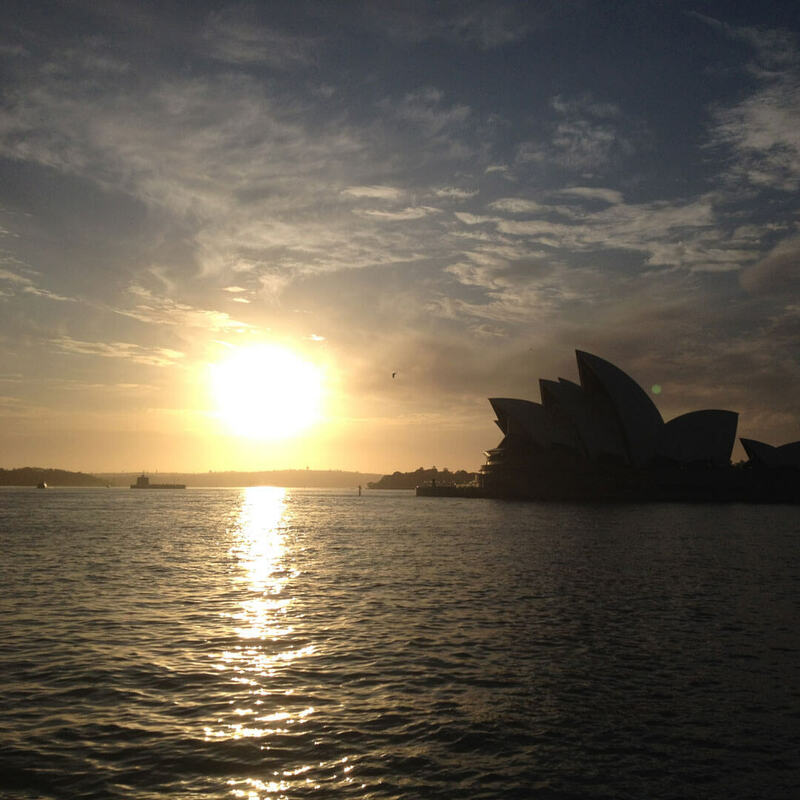 Your tour may take you back to Sydney CBD and drop you off at your hotel. Alternatively, you could linger a little longer at your last stop – and perhaps have some lunch – before making your own way back to your hotel. Manly has plenty of eateries close to the waterfront, including great seafood. If you finish in Manly, you could take the popular public ferry back across the harbour to Circular Quay and Sydney CBD. 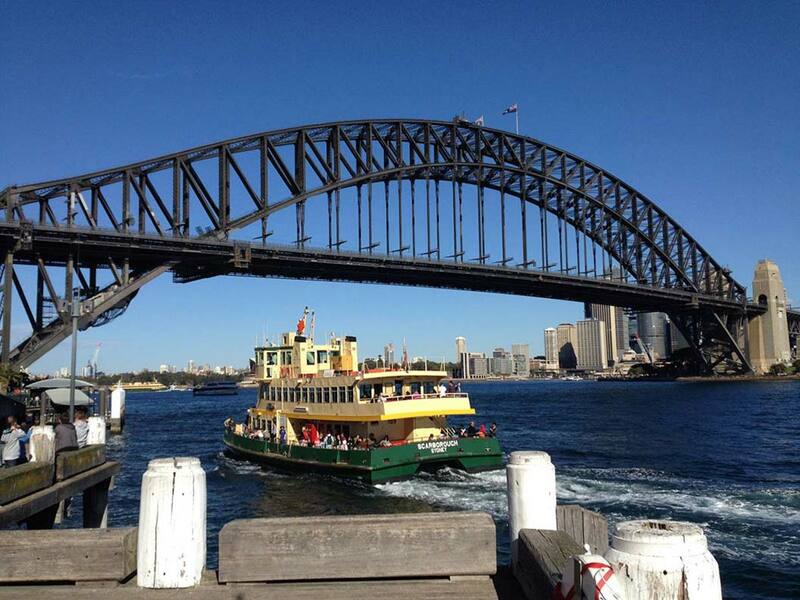 Why not see the Harbour from a different perspective with a private cruise (up to 43 people)? Relax as you take in the popular landmarks and well-to-do waterfront neighbourhoods on one of the world’s most celebrated harbours. Want to learn more about Sydney’s convict past? Join a small-group walking tour of the Rocks heritage district to hear about Sydney’s early European settlement and the city’s fascinating convict history. *Tour itineraries may vary for each tour operator. Please read the tour operator’s itinerary before booking. Private tours will have the word “private” in the title, on other tours you will be sharing the vehicle with other travellers.